Home | Sausage World, Inc.
New Food Service Customers Atlanta Metro Area Only. Minimum Order 40 Lbs. 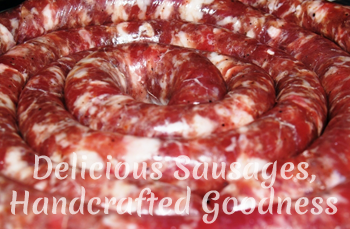 Sausage World, Inc. is a family-owned and operated business specializing in freshly made, handcrafted artisan sausages. Using the same principles as our ancestors in Italy, we are committed to providing the finest handcrafted artisan sausages to all of our customers. 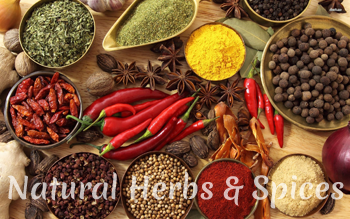 We combine locally raised beef, pork, lamb, and poultry with all-natural herbs and spices. Our goal is to always create flavors so authentic, you feel like you are taking a trip around the world...without the passport. Quality & Value – without question, without compromise. Quality and freshness have always been the center points for the company's success. Sausage World products are considerably leaner than the competition. They're higher protein, lower fat products that today's consumers demand. The company's Italian, German Bratwurst, English Bangers, Cumberland Sausage, Polish Kielbasa, Spanish, Argentina Chorizo Criollo, Colombian Chorizo, Mexican Chorizo, Salvadorean Chorizo, and Uruguayan Chorizo Parrillero sausages have been the main stays of the company from the very beginning. We pride ourselves on the quality and authenticity of our ingredients, and especially the quality of our meats. We focus on Quality, not cost. – We sell Value, not price. 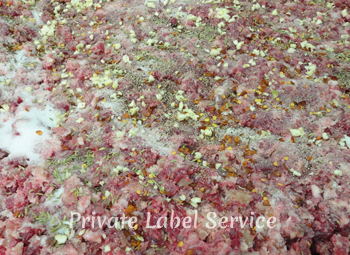 We are committed to partnering with our clients to keep only the freshest product in front of your customers. In fact, we recommend that our clients not build inventory for short term price advantage at the expense of product quality and performance. The Sausage World team is committed to making the process of private label manufacturing easy for you and your company. We take pride in treating our clients like part of the Sausage World family. We possess a wealth of sausage making knowledge going back four generations in our capacity as a traditional business. As specialists in the area of Custom label sausage, we can promptly fulfill almost every desire with professionalism because of our flexible production and capacity. If you need further assistance or have any questions related to our Private Label Service, please do not hesitate to contact us. Copyright © 2019 Sausage World, Inc.  All rights reserved in all media.